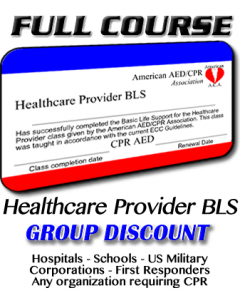 Group discounts are available to any group of at least 5 students wishing to take our online CPR course . Our discount plans are extremely flexible and can be custom tailored to fit the requirements of any organization. 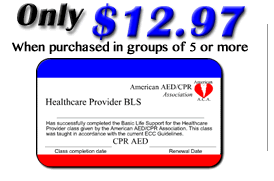 STANDARD GROUP DISCOUNTS: If you have a group of at lease 5 people who wish to take the course, you qualify for a discount of at least $5.00 each on our online CPR certification course. 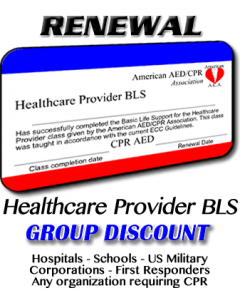 You can get friends, coworkers, fellow students or anyone who wants so learn CPR online. CORPORATE GROUP DISCOUNTS: The Blanket Corporate Discount is our most popular discount plan. We will base your discount on an estimated number of students per year. The discount will be available to anyone who signs up using your company's discount code. We can invoice your company for all of the classes or bill your employees directly. As a company administrator you will be able to log in and view course status for all employees. You will also be notified when it is time to renew. SCHOOL GROUP DISCOUNTS: Discounts are available for schools of any size. In some instances we are able to bring you the course at no cost to you or your students. This is due to CORPORATE SPONSORSHIPS which are available all over the country. 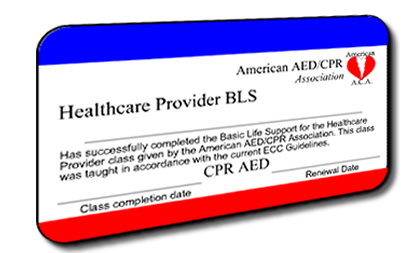 The Online CPR Certification Course can usually be completed in 2 class sessions. Students will be able to log in from school or from home to review what they learned for up to 2 years after completion of the course. Special assistance is available to teachers to allow them to help students and answer frequently asked questions. 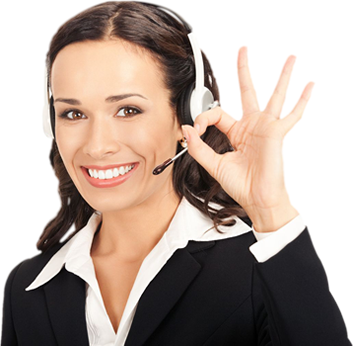 Live online help is also available. The American AED/CPR Association believes that all students should learn CPR and we have created a fun and easy way to do it. for more information please fill out our contact form below.